There is nothing quite like listening to the sounds of live music while gazing at the night sky. Luckily, Cleveland has a variety of scenic and festive outdoor concert venues featuring a wide range of performers. 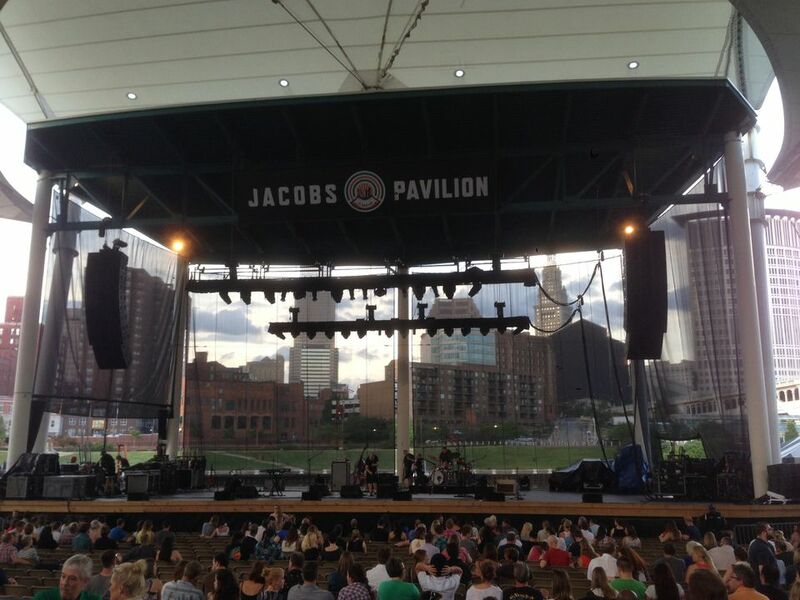 Find out where you can catch some summer concerts in this Ohio city. Located in Cuyahoga Falls between Cleveland and Akron, Blossom Music Center offers lawn seating as well as covered seating. Although the venue is the summer home of the Cleveland Orchestra, the amphitheater also is host to a variety of popular musical artists and groups, such as Brad Paisley, Kings of Leon, and Florida Georgia Line. Sit on the lawn and bring a picnic, or treat yourself to an acoustically-correct pavilion seat. It just doesn't get much better than this. Located east of Cleveland in Cleveland Heights, Cain Park is a lovely 22-acre performing arts park that features a number of local, regional, and nationally known performers throughout the summer. The Alma Theater has covered seating, while the Evans Amphitheater has a lawn area as well. Nelson Ledges Quarry Park, located 30 minutes east of Cleveland in Portage County, offers swimming, camping, hiking, and lots of outdoor fun. In the spring, summer, and fall, it is also the home of numerous music festivals, including the Pyro Art & Music Festival and Grateful Fest. Located along the Cuyahoga River on the west bank of the Flats, Jacobs Pavilion at Nautica is a wonderful place for a concert. It offers general admission bleacher seating as well as festival seating, all uncovered. Musical groups have included the Goo Goo Dolls and The Turtles. Home to the Cleveland Browns football team, FirstEnergy Stadium also is host to big-name musical performers, such as U2. By no means an intimate setting, the stadium is definitely a high-energy venue for world-renown artists.